Bizarre Bikes is a segment that looks into the history of an unusual motorcycle. There were a number of unconventional machines in the military, with the Welbike being among them. This compact vehicle was favoured by the British Army during WWII and went on to survive into the modern day as a niche design. What was it about this weird machine that made it so popular in the army? During WW2, the British troops required a vehicle that could be dropped by parachute and the need was answered by the Excelsior Motor Company. A machine was developed in cooperation with Special Operations Executive (SOE) in Welwyn, Hertfordshire. A man named Harry Lester created the original prototype in The Frythe mansion, headquarters of the Inter-Services Military Research Establishment. 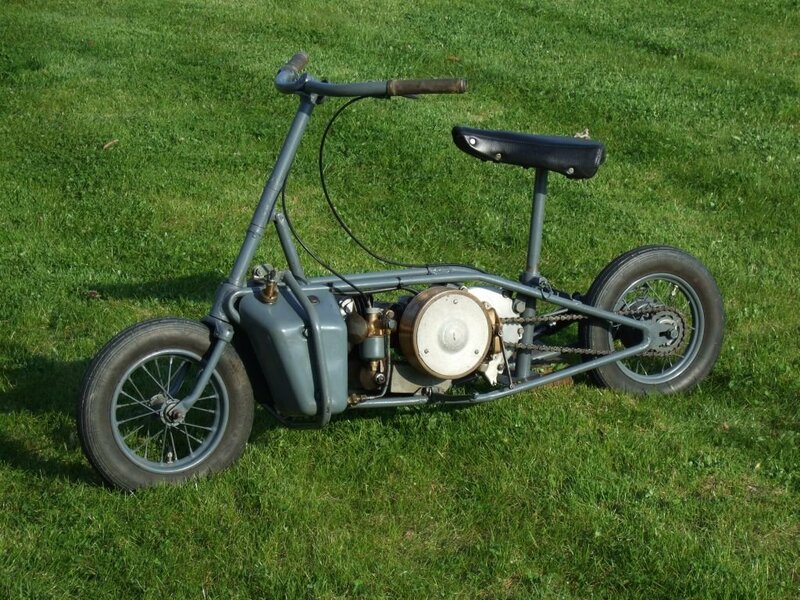 The Welbike weighed 75 lbs and was powered by a Villiers 98 single-cylinder two-stroke engine. Designed to fit into a CLE Canister, a standard airdrop container, the bike lived up to military requirements. The prototype survived thorough drop testing at the Special Operations School at Arisaig in Scotland. When the Welbike was deployed it could be easily assembled in the field. The Welbike’s simple design meant that it could be created quickly and full production started in 1942. Commandos and Royal Marines used Welbikes at beach landings at Anzio and Normandy. It also came in handy during regular airfield transport by the Royal Air Force. However, the Welbike came with certain disadvantages. The lack of suspension made it uncomfortable to ride and the small size restricted it to a single paratrooper, reducing practicality. The Welbike could also be a liability when a paratrooper needed to find a container. It meant they needed to get under cover and assemble the motorbike. After the war ended, a lot of Welbikes were destroyed because they were considered unsafe for public roads. The remaining bikes were bought by Gimble’s Department Store in 1946 and shipped to America. They were sold to the public and these models transitioned into the Corgi scooter. Billed as a motorscooter, the Corgi became popular during the 1950s. They came with the same engine as the Welbike and around 25,000 were produced. Today, surviving Welbikes are rare, but a few can be seen in exhibitions, such as at the RAF Harrington Aviation Museum and South African National Museum of Military History. The Welbike remains an important military vehicle.